The South Oakleigh Wildlife Shelter is reliant on your continued support and donations to run smoothly. 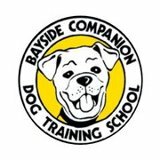 Bayside Companion Dog Training School. The school is a not for profit organisation and is run by volunteers. The committee and members have provided us with valuable equipment that has been desperately needed by the shelter. We encourage you to check them out on their website. If you can provide any of the items listed below, please contact us. If you would like to become a volunteer member of the shelter, please see our membership page. If you are interested in becoming a volunteer carer, rescuer or transporter for the shelter, please contact Michele on 0411 600 591.